There are plenty of smartphone apps out there that let you keep track of how many drinks you’ve consumed in a sitting. There are even some that praise you for trying different types of alcohol, and let you show your drinking achievements off to your friends. That’s all well and good, but where are the apps that tell you when your drinking is harmful to your health? Doctors in Singapore have developed an app that allows you to track every beer/shot/glass of wine that you consume in a sitting and converts each drink into an alcohol “unit.” Once a user reaches the daily/weekly limits, the app will send a warning, stating that you’ve gone over the limit of what would be healthy intake. The alcohol units are established according to the guidelines established by the National Health Service (NHS) in the UK and the Canadian Network for Mood and Anxiety Treatments. The NHS recommends that women have no more than two to three units of alcohol a day, which is roughly equivalent to about 6 ounces (175 milliliters) of wine a day. For men, the daily recommended maximum is three to four units, which is equivalent to less than two 12-ounce bottles. The app doesn’t want you to stop drinking entirely, however. Instead, it’s looking to curb the amount you drink on a daily/weekly basis. 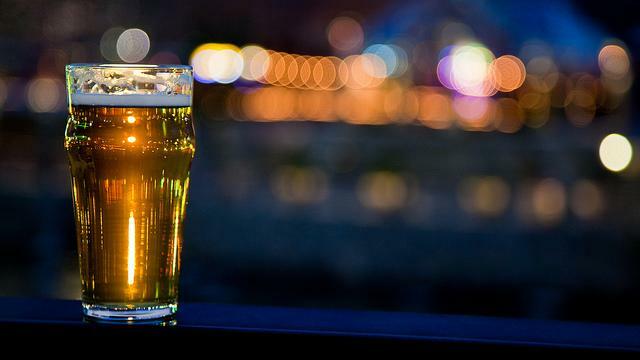 The developers also noted that other apps that track a drinker’s blood-alcohol levels can be unreliable. Instead of just warning you that you’ve gone over your limit, the app will send you a validated questionnaire that will help you determine how your drinking is affecting your health. The developers also built in several tools that help users limit their intake, and have added a phone number for an alcohol help line if things go too far. A similar app is also available from NHS Choices. It’s called the Change4Life drink tracker and it functions in nearly the same way as the Alcohol Tracker. With each beer/shot/glass of wine you drink, you add it to the app. It can track the ABV of each drink, as well as the quantity and cost of that drink. Once you’re finished drinking, the app will add the alcohol units together and tell you how far over the recommended daily limit you’ve gone. It’ll also tell you how many calories you drank, how greater a risk you have of developing serious illnesses, and more. Both the Alcohol Tracker and NHS Choices’ Change4Life drink tracker are available on iOS and Android devices.